Peg + Cat Season 2 Announced! The Fred Rogers Companyhas announced production of a second season of PEG + CAT for PBS KIDS. The new season of the multiple Emmy Award-winning animated series for preschoolers is slated to launch on PBS KIDS in spring 2016. Season two of the popular show will feature 25 engaging new episodes, including a hilarious one-hour special highlighting the musical math adventures of the intrepid Peg and her loyal sidekick, Cat. 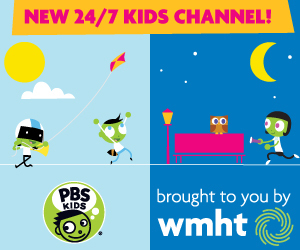 In addition, PEG + CAT will introduce fun new interactive games and digital storybooks on PBS KIDS digital platforms, using the series’ hallmark humor to showcase early math skills for young fans. Each episode finds the spirited Peg, Cat and their friends working together to overcome a challenge using their trusty math and problem-solving abilities. Upbeat music is woven throughout the show, and every story features a catchy original song. The series provides young viewers with a fresh new way to experience the key math skills needed to navigate everyday life. And since Peg doesn’t always get it right the first time, preschoolers also learn the value of learning from mistakes. PEG + CAThas attracted a large and growing audience across both broadcast and digital platforms, incorporating a perfect combination of “girl-power” and “brain-power.” Peg, the show’s star, was recently recognized by Common Sense Media as one of TV’s Best Role Models of 2014. Peg also has been widely praised as a great S.T.E.M. (Science, Technology, Engineering and Math) role model for girls. PEG + CATis co-created and executive produced by Jennifer Oxley (Little Bill, The Wonder Pets!) and Billy Aronson (Rent, Postcards from Buster) and produced by The Fred Rogers Company for PBS KIDS. Kevin Morrison of The Fred Rogers Company and Vince Commisso of production partner 9 Story Media Group also serve as executive producers. 9 Story, which distributes the popular series and manages licensing for the brand internationally, has secured distribution in more than 30 countries, providing even more opportunities for children around the world to tune in to the upbeat series. HiHat Media leads U.S. licensing initiatives for the brand. 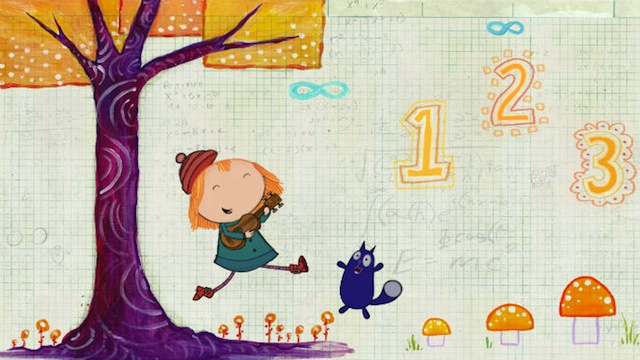 The series has been honored with a trio of Emmys for “Outstanding Pre-School Children’s Animated Program,” “Outstanding Performer in an Animated Program” and “Outstanding Individual Achievement in Production Design.” PEG + CAThas won four Kidscreen awards as well as a Parents’ Choice Gold Award and the Peg + Cat Big Gig App has earned a Parents’ Choice Silver Honor.